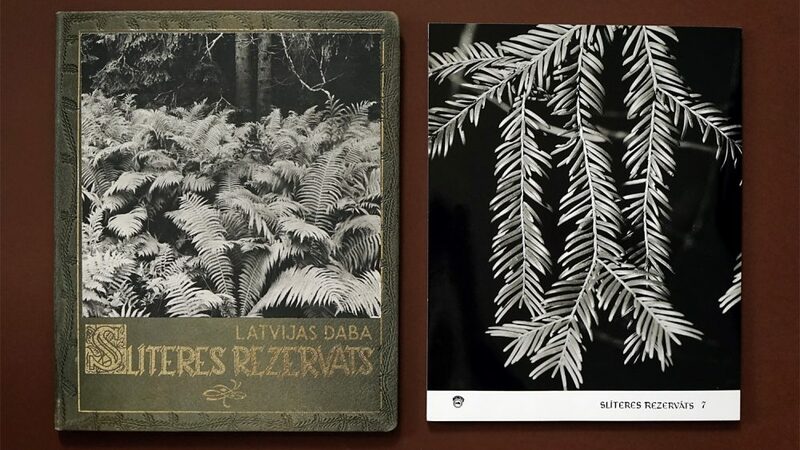 Looking through photography books published in Latvia in the 1970s and 1980s, it is nearly impossible to find a book without any poetry – almost all of them have at least a line of poetry, most often by Rainis, Ojārs Vācietis or excerpts of Latvian folk songs. The poets and writers themselves have been regularly documented in various photo albums – both in themed compilations and in monographs by individual photographers. 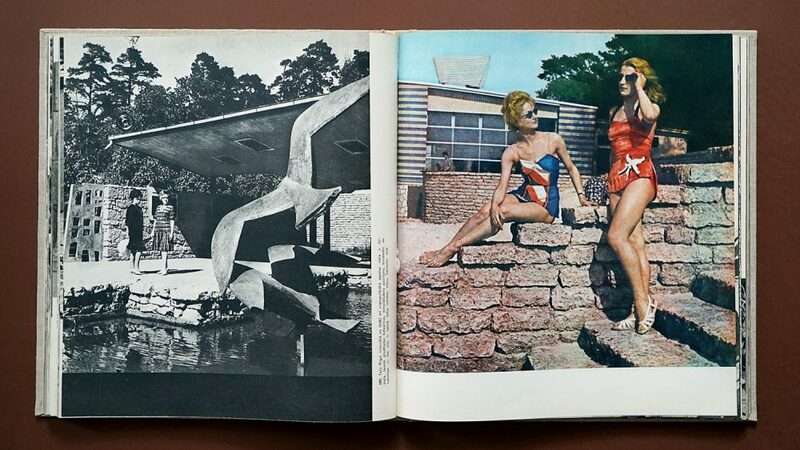 The entire photographic art of Soviet Latvia is often compared to poetry due to poetic narratives and painterly aesthetics. However, in many albums the accompanying poetry seems to be an unnecessary cliché, as if the authors doubted that the photographs could be poetic and meaningful enough without the text. 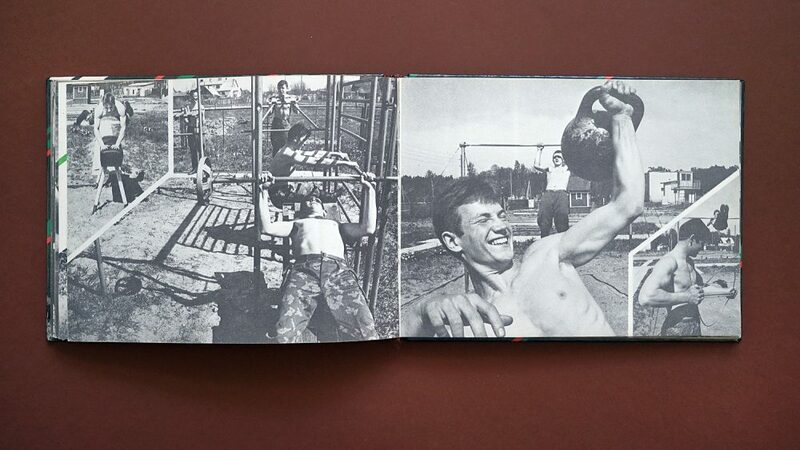 One of the successful cases of interaction between poetry and photography is the book Septiņos lokos (In Seven Circles) issued by the publishing house Liesma in 1979 in 15 000 copies. It offers the photographic interpretations of photographer Juris Krieviņš (1933–2000) of renowned Latvian writer Rainis’ poetry collection Gals un sākums (The End and the Beginning; 1912). 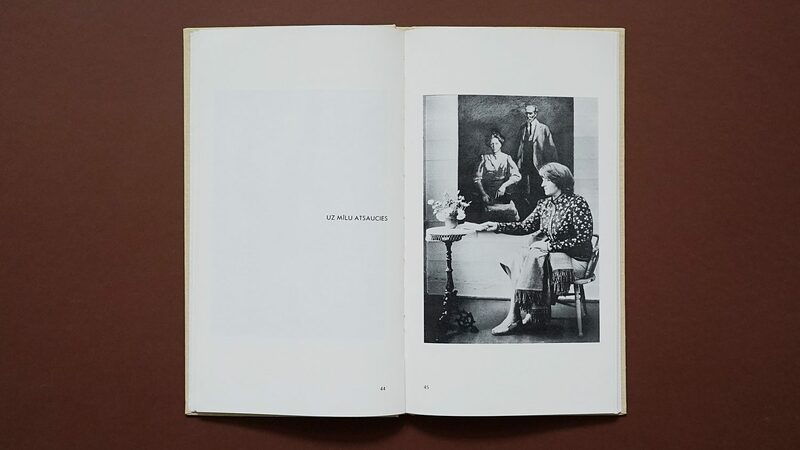 The book spreads have been created rather conceptually – on one side there are only the titles of the poems or a fragment of a poem, but on the other side there is a photograph. This strategy allows for associative interaction between the text and the image. The introductory words to the book have been written by the writer and literary scholar Saulcerīte Viese (1932–2004). “[The photograph here is not] an illustration, but a reverberating medium. Perhaps it is even some kind of contradiction that requires the active participation and engagement of the viewer in the neverending process of the interpretation of the world and creation of art,” she writes. The images are mostly lyrical and very few of them are abstract. There are many motives of nature, however, several photographs also feature specific individuals – various cultural workers, whose identity is only revealed in the captions translated into Russian. For example, next to the caption Uz mīlu atsaucies (Respond to love) there is an image of a woman sitting at the table, but in the background there is a painting of Rainis and his wife Aspazija. The woman, who is placing a book on a table at the moment when the photograph is taken, is painter Rita Valnere. In another image with the caption Kalna galā (On the top of the hill) there is a profile of an elderly man – it is Latvian poet Jānis Sudrabkalns. It can only be guessed why images that stimulate a flow of free associations are accompanied by an image of a certain cultural worker and overly direct symbols (the monument or bust of Rainis, or the memorial museum). Most likely, the decision has been taken on the basis of the daily work of Juris Krieviņš, as well as his interest in literature. Being a photographer that actively documents cultural life, he created visual materials for various books – biographies, compilations of essays and yearbooks. Saulcerīte Viese wrote in the obituary of Krieviņš in the newspaper Diena: “The exhibitions that he organised about the Song Festival, cultural workers, Latvian riflemen, Krišjānis Barons and folk songs were a crucial contribution towards explaining processes that were important to Latvian people. He was especially passionate about creating [the exhibition and book] In Seven Circles, in which he attempted to transpose the symbols of a poet into photographic symbols.” From today’s point of view, this book is one of the rare examples in which the attempt to combine poetry and photography is something more than simply an outdated strategy from the previous century.